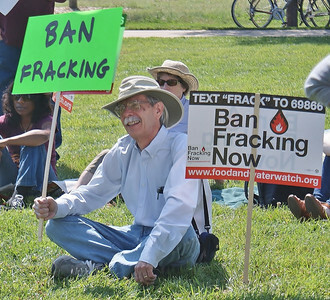 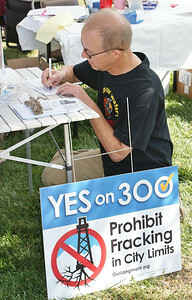 man kneeling at table signing up to support anti-fracking ballot initiative, sign next to table. 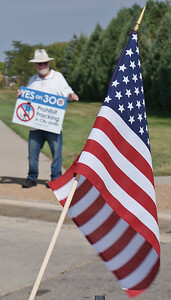 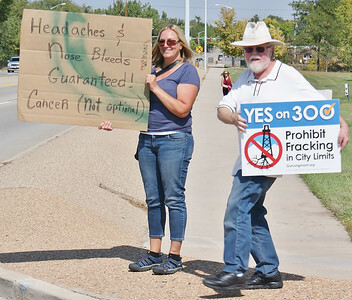 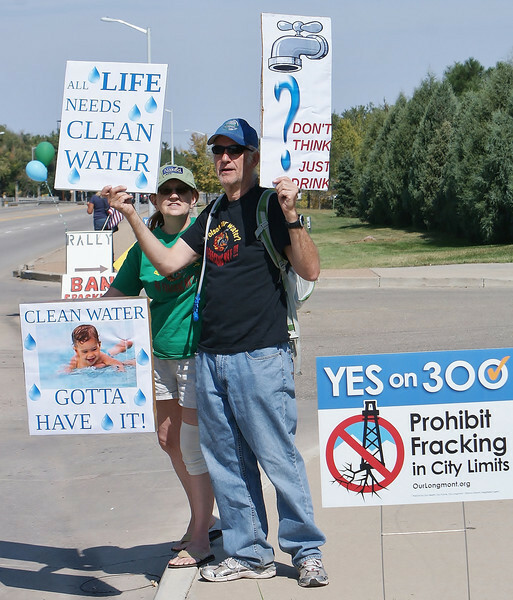 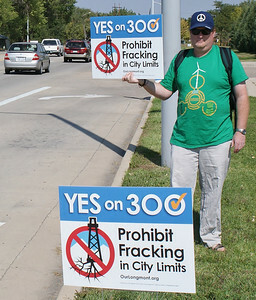 Man standing by side of road with sign supporting anti-fracking ballot initiative, American flag in the foreground. 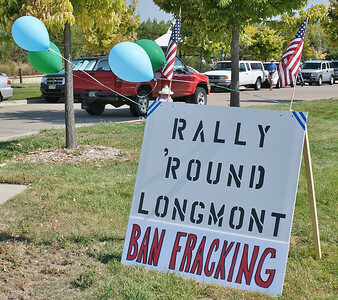 Ban fracking rally sign with balloons and American flag attached, pick-up truck in the background. 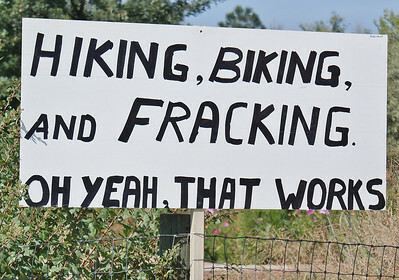 Anti-fracking sign about hiking and biking.